Occupational Therapists cover a wide variety of rehabilitative exercises. This includes but is not limited to exercises that improve motor skills. Some exercises an Occupational Therapist provides may seem like they wouldn’t be beneficial, however, these seemingly non-functional tasks can produce a greatly functional outcome. Performing these activities will better prepare a person to physically participate in everyday life. In the case of fine motor skills, activities like getting dressed or preparing a meal will be made much easier with exercises provided by your Occupational Therapist. Of course, Occupational Therapy cannot occur without the proper tools. One tool Occupational Therapists may use to improve fine motor coordination is the Baseline® 9-Hole Pegboard. 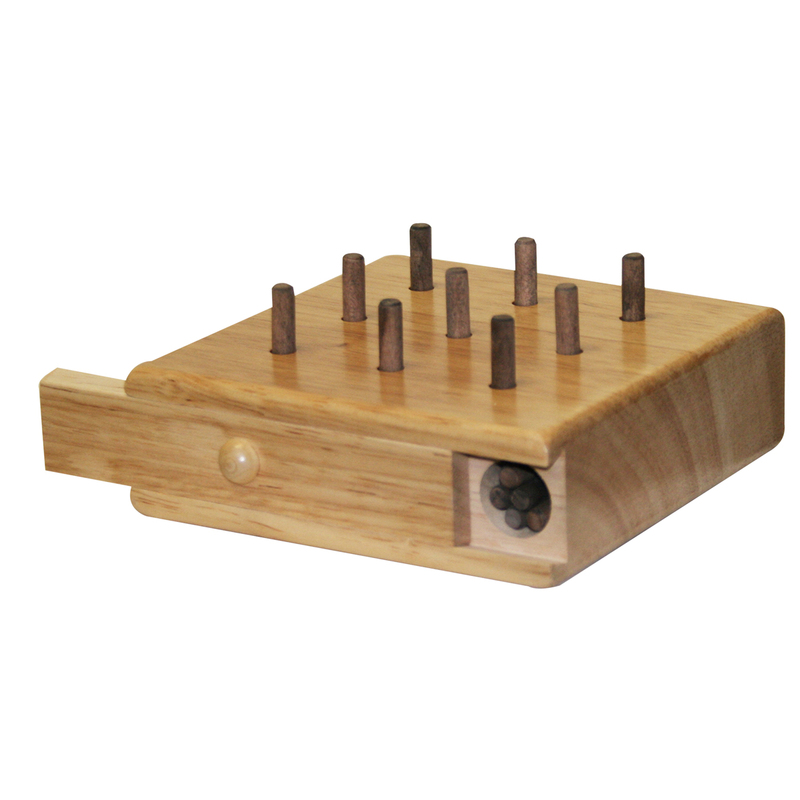 The pegboard is a square board with 9 peg holes that allows storage for 14 pegs in two compartments. With this tool Occupational Therapists can observe the quality of hand movement and speed. By being able to synchronize hands and fingers with eyes patients will be able to do most things never even thought about before. For instance, folding the laundry will be made easier with improved fine motor skills. Before you do any activities with Baseline® Pegboard, it is good to consult your Occupational Therapist first. Your therapist can teach you specific exercises that can improve your way of life. To check out the Baseline® 9-Hole Pegboard, click here.